You won't always know who your buyer is going to be when listing a home for sale. But, with many homes, you have a good idea of the general target group. While many homes for sale attempt to appeal to the largest number of buyers, niche staging may actually get a home sold sooner. And the more your home is staged for a particular group, the better your chances of being able to influence who the buyer is. Yes, that's a solid strategy, because, “Millennials… want a home that's move-in ready, modernized and furnished with all the colors and comforts of a Pottery Barn store,” they said. A fresh coat of paint: Keep it neutral but stay away from beige. This reads old and dated to millennials. Fix what's broken: Millennials don't want fixer-uppers. Swap out furniture: Forget the comfortable, cushy couch and heirloom sideboard. Think modern, clean lined, and glamorous. If that's the opposite of what the house has, pack it all up and hire a professional stager. A sleek kitchen: It might be that your listing needs a new everything in the kitchen to attract buyers and get the price your buyer wants. Most of today's buyers are looking for solid surface countertops and stainless steel appliances. In lieu of a big redo, painted cabinets, updated lighting, and new fixtures can help distract from what hasn't been done. New fixtures and accessories: “Shag carpeting, original light fixtures, heavy draperies, which ‘just scream old,' and mirror walls” need to go, Kathy Streib, a home stager at Room Service Home Staging in Delray Beach, Florida, told Bankrate. Inexpensive blinds or drapes and contemporary light fixtures can give an updated look without a large financial output. Bedding: A fresh, new comforter in a graphic pattern can help transform an old, outdated bedroom into something a millennial could see himself living in. Finally, think about the marketing. Does the listing talk only about the home? Think about including the things that are important to millennials: area entertainment, including bars, cafes, and popular restaurants; recreation and shopping; and major employers nearby. Emphasizing these factors as part of the listing may push it over the top. If the home for sale is in an area that attracts a lot of home families, but the home is designed for a Hollywood bachelor, there's some work to do. Data has always supported that women are the decision makers when it comes to buying a home, and that's especially important to consider for this buyer group. MarketWatch's article titled “What moms look for when buying a house” touches on a few of the more obvious choices – “Open floor plans, a mud room, and an office so parents can keep tabs on their kids” – as well as tons of storage. If your listing doesn't tick these boxes, consider making changes. Bringing in a few smart storage items and, especially, setting up a play room where toys and books are all nicely put away, can do wonders. Speaking of a play room…does the home have one? If not, families with young kids may not even come tour it. Staging an existing home office or guest room as a play room for young families or a game room for older families (depending on what your market research indicates) can help the home connect with these buyers. 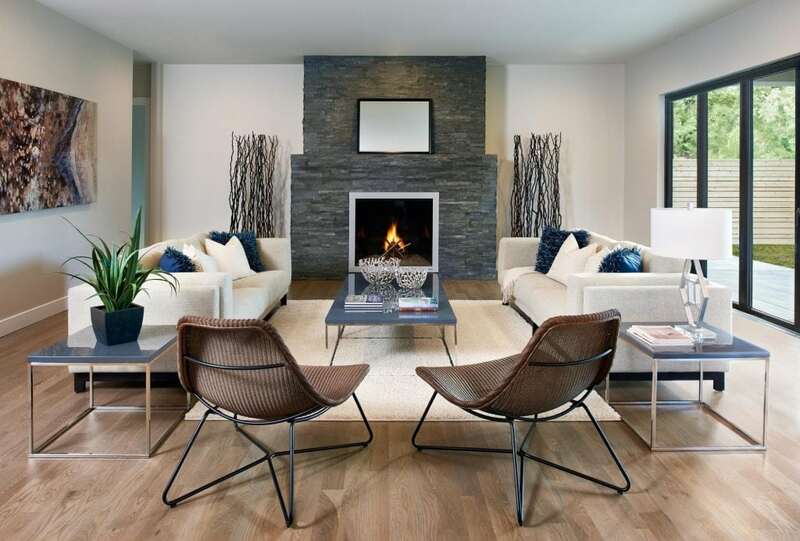 Warm gathering spaces and open sightlines are key to creating the kind of home that will attract families. If the home has walls in all the wrong places, a little money spent knocking them down to create an open plan could pay off big on the back end. The same could be said about making sure the kids' bedrooms are sufficient. If the owners are currently using bedrooms for a craft space, home office, or guest room while the kids are doubled-up, you turn off buyers, giving them the impression that the home doesn't have enough space for their family. For marketing purposes, it's also important to highlight neighborhood amenities that are important to this buyer. Creating a map that lists nearby shopping and family-friendly restaurants and activities is that something-extra that will resonate with buyers. Important tip: Pay special attention to schools, making sure you have the right ones in the listing and highlighting good test scores and any other important factors. Buyers will look online at listings on sites like Zillow and Redfin, and often the schools listed are incorrect. Making sure you have the most up-to-date info about schools is critical for young families who may be looking for a specific district or elementary school. Think your buyer might be a retiree or empty nester? Perhaps you need to rethink that game room or play room. Staging to show off entertainment areas is key, as is making sure “multipurpose rooms appeal to childfree active adults.” Have an extra bedroom? Think about turning it into a craft space or reading room. When it comes to the main living areas, pay extra attention to the furniture arrangement. Having too much furniture in the rooms can not only make them look smaller, but may also be a hazard for those who aren't as mobile as they used to be. A thoughtful space plan will make the room look better and can also make it safer. Outside, simplifying the landscape where possible can also make a retiree feel better about the home. A small garden area may appeal to this target, but a large lawn and English garden that needs to be maintained regularly can seem overwhelming. From a marketing standpoint, thinking about other aspects that make the home desirable to this group of buyers can also help it stand out. Does the home have walking trails or community amenities that would appeal to an active, older buyer? Local restaurants and cultural hotspots should also be included. How about the medical services nearby? A local map that points out points of interest will be helpful – and memorable.